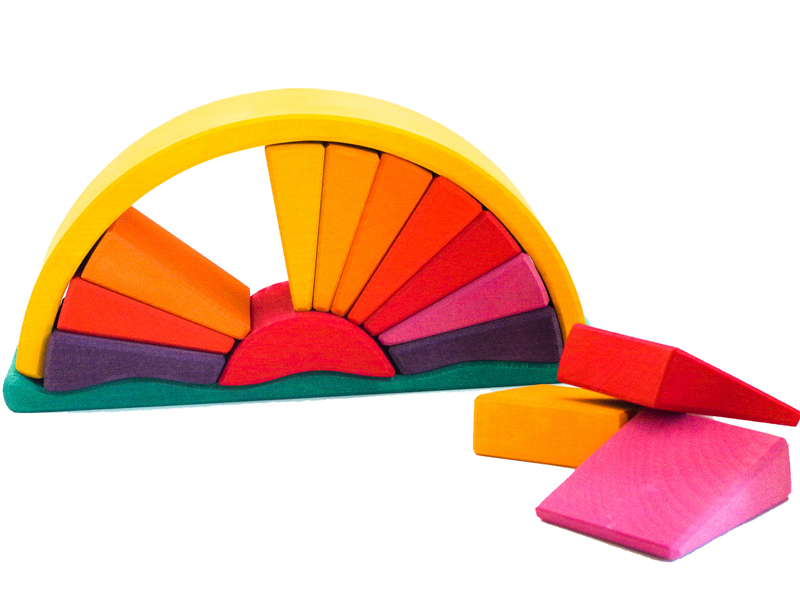 Let the sun shine in the playroom with this vibrant Sunray Arch toy that will double as cheery decor when not in use. Made using a single piece of sustainable Linden tree wood and given its rich hues via non-toxic, water-based colors, the 16 pieces include several rays that can be taken out and re-arranged or used in myriad other forms (watermelon slice, anyone)? The main arch may also fill-in as a bridge for cars to go over or trains to pass under. Designer Gluckskafer® hopes this open-ended toy helps children use their cognitive skills to create and innovate through construction and deconstruction. We think the Sunray Arch would make for a brilliant gift offering for the tot you know (age 2 and up) who has a summer birthday. 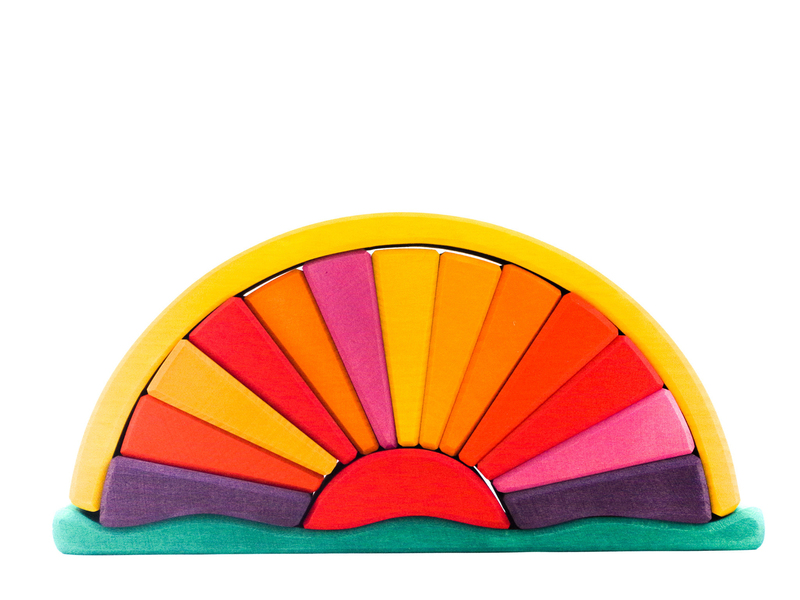 Let the sun shine in the playroom with this vibrant Sunray Arch toy that will double as cheery decor when not in use. Made using a single piece of sustainable Linden tree wood and given its rich hues via non-toxic, water-based colors, the 16 pieces include several rays that can be taken out and re-arranged or used in myriad other forms (watermelon slice, anyone)? The main arch may also fill-in as a bridge for cars to go over or trains to pass under. Designer Gluckskafer� hopes this open-ended toy helps children use their cognitive skills to create and innovate through construction and deconstruction. We think the Sunray Arch would make for a brilliant gift offering for the tot you know (age 2 and up) who has a summer birthday.